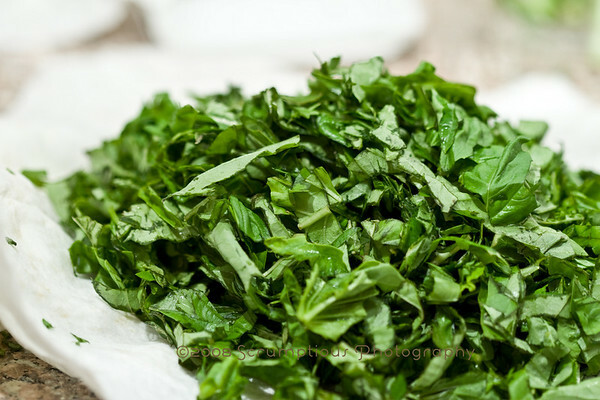 I was really intrigued when I learned this month's ingredient for Iron Cupcake:Earth was basil! 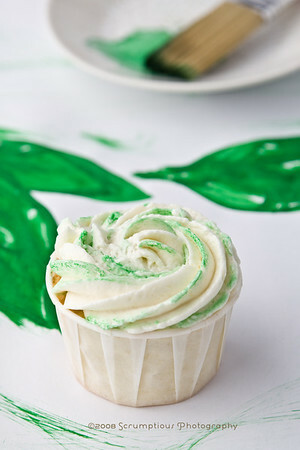 Don't get me wrong, I love basil; but I'd never considered using it in a cupcake before. In any case, I welcomed the challenge! 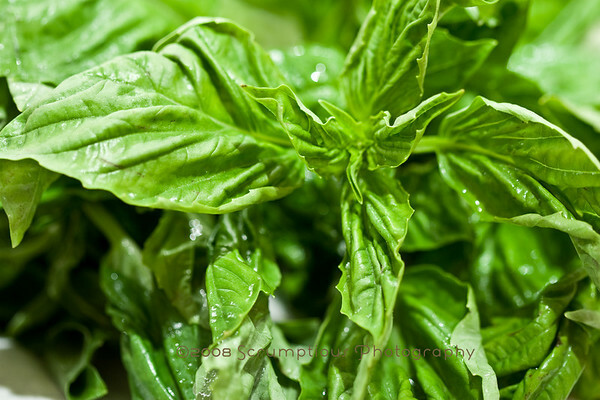 I felt that basil was close enough to mint that the flavors would work in a similar way. So, I decided early on to use lemon and blueberry as my two other cupcake flavors. The cupcakes ended up being delicious! I incorporated the flavors together by making a lemon cake with blueberry sauce filling and topping it with basil buttercream. I made the buttercream by flavoring a simple syrup with chopped basil, which really brought a super concentrated basil flavor to the syrup. 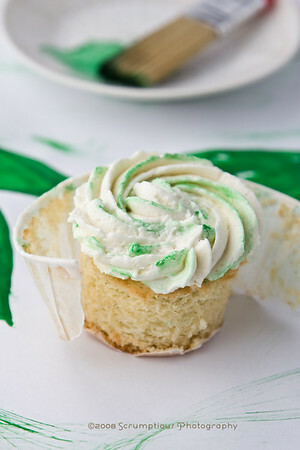 Iron Cupcake:Earth is a monthly competition for the best cupcake using the theme ingredient. The voting begins on September 27 on No One Puts Cupcake in a Corner! This month's prizes are provided by the following sponsors! 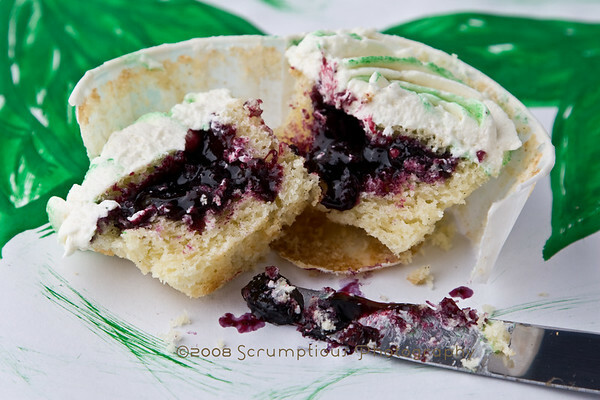 With no further ado, here is my recipe for Lemon Blueberry Basil Cupcakes! 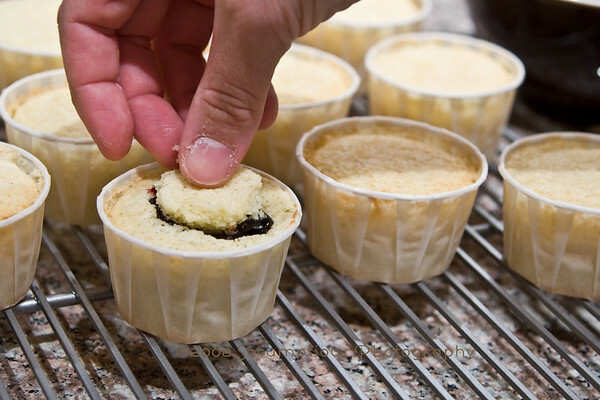 Preheat oven to 350 degrees F/175 degrees C. Ready a cupcake pan with baking liners, or place liners on a baking sheet if they are sturdy enough. 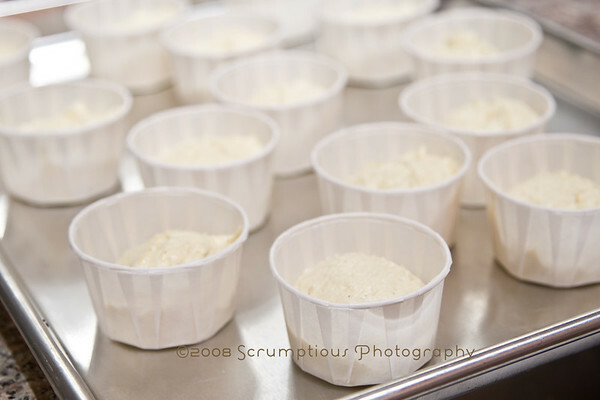 Sift together dry ingredients (flour, baking powder, baking soda, salt). 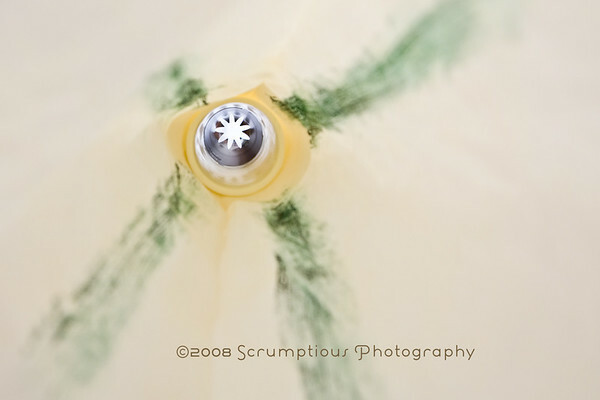 Place butter in the bowl of a stand mixer with the paddle attachment. Beat on medium for a minute until smooth, and add sugar gradually. Increase speed to medium high and beat for 3 minutes, until light and fluffy. Add the eggs and egg yolks one at a time, beating well after each addition. Beat in vanilla and lemon zest. Reduce speed to low and add lemon juice. Add dry ingredients alternately with the milk. Beat until just combined; do not overbeat. 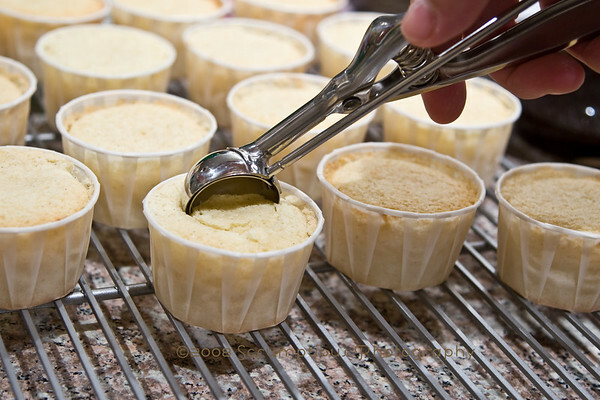 Bake for 18-20 minutes, until the tops just begin to brown and a toothpick inserted in the center of a cupcake comes out clean. Let the cupcakes cool on a cooling rack until they are room temperature. 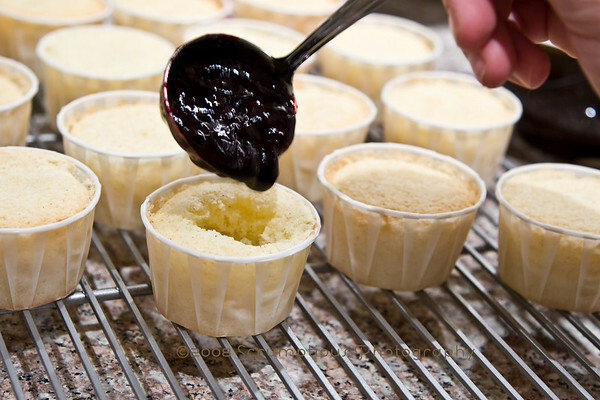 Fill cupcakes by using a melon baller or similar tool to scoop out the middle, then fill the hole with Blueberry Sauce and cover with the top of the piece you scooped out. 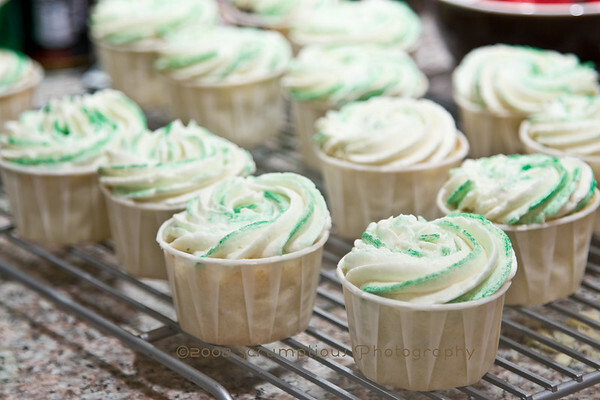 Once all of the cupcakes are filled, spread or pipe on the Basil Buttercream. I decorated these by painting stripes of gel food coloring inside the piping bag and piping with a large closed star tip. Adapted from Blueberry Sauce on joyofbaking.com. I filled my cupcakes very full, so I didn't have much left over. In a medium saucepan, combine all ingredients except blueberries together. Mix until all is dissolved. Add the blueberries to the saucepan and place over medium heat. Cook the mixture, stirring occasionally, until it thickens. Cook longer if you want it to be thicker. Cool. This is an Italian Meringue Buttercream, adapted from post-gazette.com. 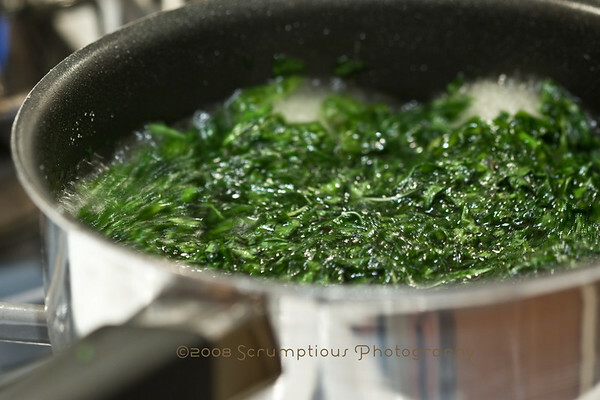 In a saucepan, combine the Basil Simple Syrup, sugar and water. Place over medium-high heat and bring to a boil. Meanwhile, place the egg whites in the bowl of a stand mixer with the whisk attachment. Whisk egg whites on low until they froth and then add the cream of tartar. Increase speed to medium high and whip until soft peaks form, and gradually add the 3 T of sugar. Whip until stiff peaks form. While the egg whites are whipping, continue to heat the sugar solution until it reaches a hard-ball stage, 250 degrees F/125 degrees C.
With the mixer running at medium high speed, carefully pour the hot syrup into the mixer bowl, in between the side of the bowl and the moving whisk. Be careful of splatters! 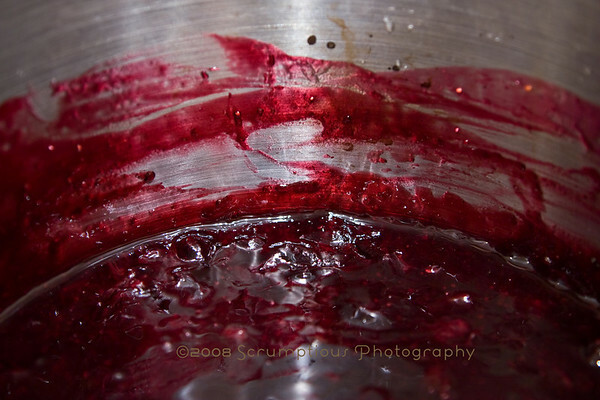 Once it is all in, let the mixer run at high speed until the mixture cools and the bowl is cool to the touch. Reduce the speed of the mixer to medium and begin adding the butter, tablespoon by tablespoon, adding the next one when the previous one is no longer visible. Once all the butter is in, continue beating the mixture until it is smooth and creamy. Adapted from Minted Simple Syrup on foodnetwork.com. This uses one part water to two parts sugar. If you want to make it ahead of time, this should keep for one or two weeks in the fridge. 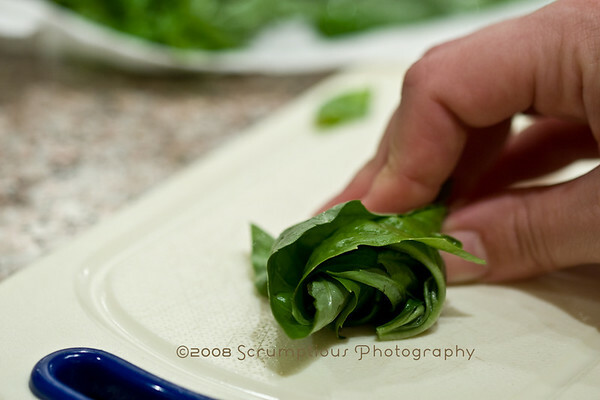 Chop up the basil by making stacks of the leaves, rolling the stacks into a tube and chopping the tube into strips. In a medium saucepan, dissolve the sugar in the water. Add the basil and bring to a boil for 3 minutes, stirring occasionally. 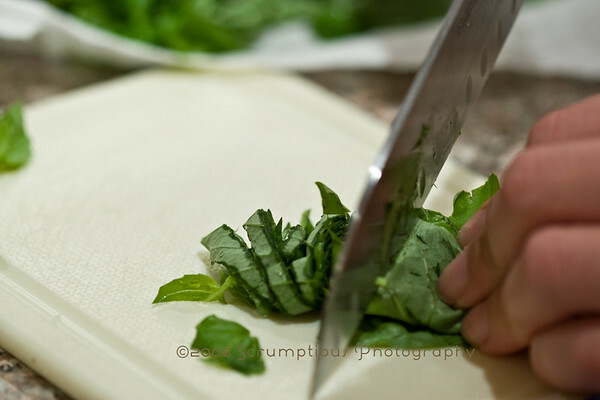 Cool and strain out the basil. Enjoy, and don't forget to check out the Iron Cupcake:Earth blog! That "painting the inside of the frosting tube" idea is the coolest thing I've seen in a while. Very awesome. 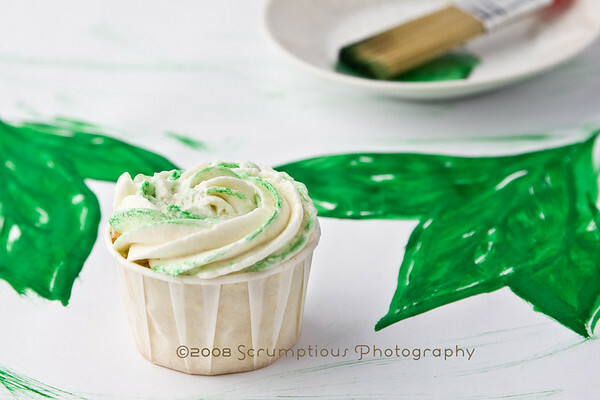 I like how your frosting has the green swirls. I've made these cupcakes too! @jen, awesome, thanks for posting the link! your version looks yummy! I cannot even BEGIN to articulate how magnificent those cupcakes look - wowza! Oh wow these look incredible! Gorgeous! I am loving that picture of the piping tip. What a great angle. 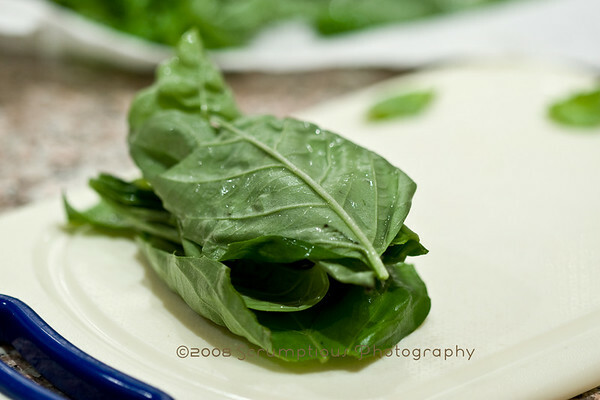 Ooooh, I really love basil in savory foods... I'll bet it is yummy in sweets as well. 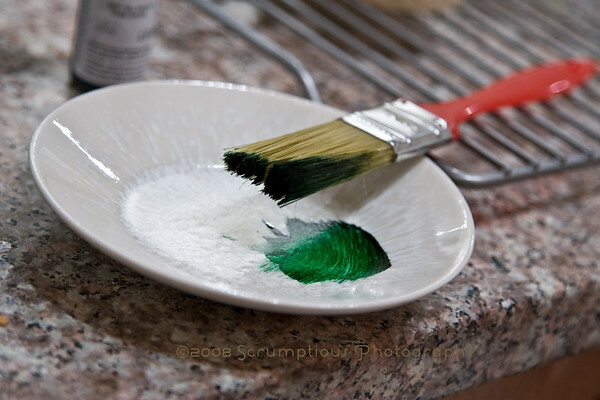 oh that's such a clever way of frosting with color! painting the insides.. brilliant. and the combination sounds incredibly refreshing!